On May 30, 2017 we posted Offshore Tax Suit To Switch From OVDP To Streamline Doesn’t Block Collection where we discussed that three taxpayers seeking to switch over to the IRS’ new “streamlined” compliance program for unreported offshore income argued to a D.C. Circuit panel that their lawsuit is not foreclosed by the Anti-Injunction Act's bar on pre-enforcement tax challenges, attacking the government’s key defense in the case. The case is Maze et al. v. Internal Revenue Service et al., case number 16-5265, in the U.S. Court of Appeals for the District of Columbia Circuit. Now the United States Court of Appeals for the Fourth District denied the taxpayers appeal of their denial to switch between the OVDP program and the Streamline Program on July 14, 2017. The account holders’ lawsuit was barred under the Anti-Injunction Act, because it “would have the effect of restraining, fully stopping the IRS from collecting accuracy-based penalties for which they are currently liable,” the federal appeals court ruled. 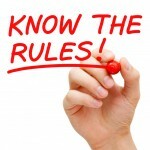 If the account holders don’t like the situation, they could opt out of the IRS’s 2012 offshore voluntary disclosure program, allow the Internal Revenue Service to determine their liabilities by audit, pay the assessed liabilities, and file an administrative refund claim for the difference between the determined liability and what they would have owed under the 2014 streamlined procedure that the IRS wouldn’t let them into, Judge Karen LeCraft Henderson said, citing the trial court decision in the case. LeCraft, added that the account holders could then file a refund lawsuit in federal court if the IRS denied their refund claim. 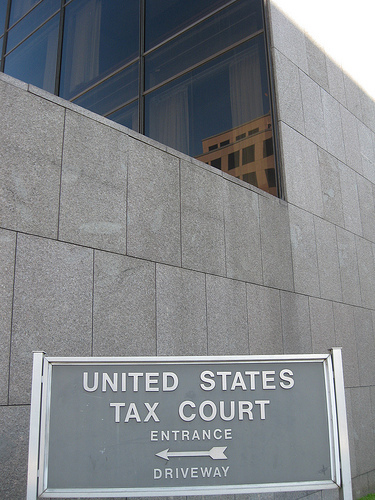 The Tax Court has concluded that a foreign corporation's proceeds from the redemption of a U.S. limited liability company that was treated as a partnership for U.S. income tax purposes was not U.S.-source income and was not effectively connected with a U.S. trade or business. Grecian Magnesite Mining, Industrial & Shipping Co. SA had already conceded that it was liable to the IRS for $2.2 million of the $6.2 million it made on the redemption of its 12.6 percent stake in Pennsylvania-based magnesite mining company Premier Magnesia LLC. That left Tax Court Judge David Gustafson to deal only with the remaining $4 million, which he said cannot be treated as piecemeal sales of Premier’s assets but must be addressed wholesale. 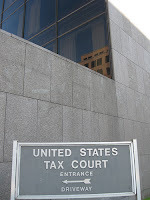 The IRS can’t treat the $10.6 million buyout as an “aggregation” where GMM’s gain would be attributable to a sale of its interest in Premier’s physical assets and would thus be liable to the IRS, Judge Gustafson said, in part, because payments of this type must be treated as partnership distributions and those distributions went to a company outside the country. The reason GMM is liable for the $2.2 million chunk, according to the ruling, is precisely because that money, spread between 2008 and 2009, was tied to Premier’s physical assets in the U.S.
As for the rest of the money however, Judge Gustafson held that the IRS can’t attribute it to GMM’s U.S. office, meaning Premier’s office since the Greek company has no other U.S. presence, instead of properly treating it as foreign income. The “U.S. office rule” would only work, according to the 55-page ruling, if the income in question, from the redemption, could be traced to Premier’s office. Nor can Premier’s own U.S. efforts to increase its value be considered part of the gain GMM realized, according to the ruling, because those investments are separate from the money the Greek company made in the buyout. Even if Premier’s office was considered a material part of producing the gain GMM realized, Judge Gustafson said he’d still need to find that the money came in the “ordinary course of Premier’s business conducted through its U.S. office” to be attributed there and not in Greece. The judge found that the IRS “again conflates” Premier’s ongoing business activities with the redemption of GMM’s partnership stake, which the ruling held to be “an extraordinary event” not easily tied in with normal business. The judge also rejected any penalties in the more than $2.1 million challenged deficiency GMM had been facing from 2008 and 2009 after an IRS audit. 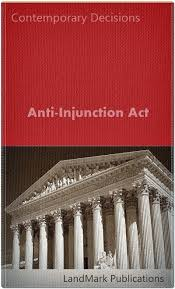 While the company should have reported making over $1 million in Foreign Investment in Real Property Tax Act gain in 2008, instead of the zero it put down, and it should have filed a 2009 return but did not, Judge Gustafson held the company properly relied on its American advisors. An important part of the decision Thursday was in the judge’s refusal to defer to a 1991 IRS revenue ruling holding that gains like the ones here can be effectively tied to U.S. businesses. “Rev. Rul. 91-32 is not simply an interpretation of the IRS’s own ambiguous regulations, and we find that it lacks the power to persuade. 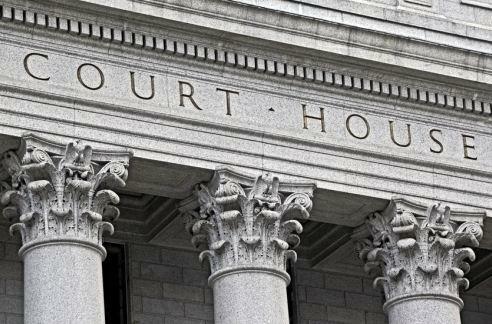 Its treatment of the partnership provisions discussed above in part II.B is cursory in the extreme,” Judge Gustafson said, noting that the ruling doesn’t even cite Section 731 of the Internal Revenue Code, which deals with partnership distributions. 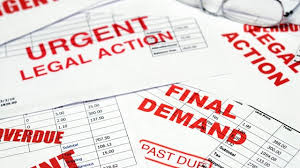 Private Debt Collectors Threatening Taxpayers To Pay Their Debts? On Tuesday, April 4, 2017 ,we posted Private Debt Collection of Some Overdue Federal Taxes Starts in April! where we discussed that the IRS announced that it plans to begin private collection of certain overdue federal tax debts next spring and has selected four contractors to implement the new program. According to the IRS the Internal Revenue Service began sending letters to a relatively small group of taxpayers whose overdue federal tax accounts are being assigned to one of four private-sector collection agencies starting April 2017. 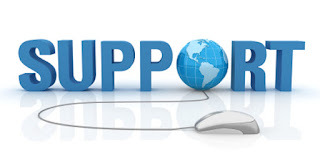 The program which started April 2017 with a few hundred taxpayers receiving mailings and subsequent phone calls, with the program growing to thousands a week later in the spring and summer. Taxpayers with overdue taxes will always receive multiple contacts, letters and phone calls, first from the IRS, not private debt collectors. Now Sen. Elizabeth Warren of Massachusetts and three other Democratic senators are urging the Federal Trade Commission to review the debt collection practices of four private companies contracted by the Internal Revenue Service, citing concerns of threats to taxpayers and violations of taxpayers’ privacy. Warren and Sens. Cory Booker of New Jersey, Benjamin Cardin of Maryland and Sherrod Brown of Ohio said in a letter to the FTC that the call scripts of the four companies used by the IRS warrants review because the scripts may contain implied threats, violate taxpayers’ privacy through information sharing with third parties, and inadequate responses to cease-and-desist requests from taxpayers. Noting that the FTC, which has a dual mission to protect consumers and promote competition, is responsible for enforcing compliance under the Fair Debt Collections Practices Act, the senators asked the agency to also report back on whether it previously reviewed the private debt collectors’ call scripts, actively monitors complaints against the four contractors, or had received complaints against them. The legislators requested the results of the FTC review to be delivered by Sept. 1, along with details on what actions have been taken to date based on any complaints that may have been received. Warren and some of the same senators sent a letter last month to Pioneer after receiving complaints that some of its employees encouraged people to use money from their 401(k) retirement funds or take out a second mortgage to pay off their tax debts. In the new letter, Warren and the other lawmakers asked the FTC to review the call scripts used by all four debt collection agencies and to answer several questions, including whether the FTC is actively monitoring complaints against the four contractors hired by the IRS to collect tax debts, whether the FTC has received any such complaints and what the nature of them is. Pioneer's call script, posted by The New York Times, includes questions such as "Is it possible to pay your balance in full within 30 days," followed by suggestions on where taxpayers can get the money, such as borrowing against their 401(k) or taking out a loan from a credit union. The National Treasury Employees Union, which represents IRS workers, supported the senators’ call for an FTC investigation of the contractors. It pointed out that the companies collect a commission of up to 25 percent and argued that the private debt collection program opens new doors for scammers to impersonate IRS personnel, disproportionately targets low-income taxpayers, and exposes taxpayers’ private data. Pioneer’s scripts may contain “intimidating language that shouldn’t be there about marking accounts as unwilling to voluntarily satisfy debts, that letter said. The company may also be violating the Internal Revenue Code by offering installment plans of up to seven years when they are supposed to be capped at five, according to the letter. The lawmakers also pointed to Pioneer’s contractual obligation to tell taxpayers about their right to help from the Taxpayer Advocate Service. “But there is no evidence in the Pioneer call scripts, which contain numerous disclosures and examples of legal requirements, that the collector intends to provide this information to taxpayers,” the letter said. Frequently, taxpayers qualify for one of several payment options, and taking advantage of them is often easier than many people think. For more on YOUR OPTIONS see our Blog Post dated April 4, 2017 Choices for Taxpayers Who Can Not Pay Their Tax Bill(s). Can't Pay ALL of Your Taxes? 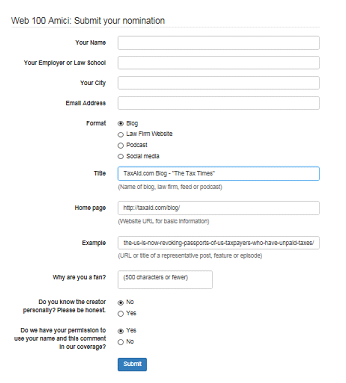 Vote For TaxAid's Blog “The Tax Times” As One of Your Favorite Blogs! TaxAid.com's Blog "The Tax Times." Go to Web 100 to Submit your nomination. Title - TaxAid.com Blog "The Tax Times"
Example - Pick your own favorite post or use ours The US Is Now Revoking Passports of US Taxpayers Who Have Unpaid Taxes! Fill in Why are you a fan? Check YES do we have permission to use your name and this comment (unless you would prefer not to have your name and your contacts used, in which case, check NO). Thank You In Advance For All of Your Continued Support!